When you are buying gold in Dubai you are generally shopping or investing in gold found in the marketplace or souk. Gold is prominently displayed by merchants and bargaining is highly encouraged. You can also buy through gold brokers that handle gold stocks and EFT’s as well as physical gold. The trading value will be similar to worldwide gold purchasing and the gold rate in Dubai will reflect the world market price that is tracking at US$1578.00 per ounce as of July 13, 2012. 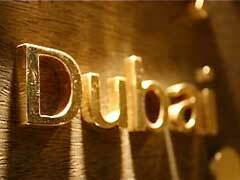 Do be aware that when buying gold in Dubai you are highly cautious. Make sure physical gold is marked and of high value and EFTs are certified and registered. Gold in India is a cultural commodity and India enjoys a high rate of gold consumption. Most gold is purchased as jewelry, coins or bullion. When buying Indian coins, do make sure pieces are authenticated. The gold rate in India is generally higher than in Dubai since India does charge taxes and the banks do charge a premium rate. As of July 13, 2013 the Indian gold price per ounce is Rs 2938.00 which is down from yesterday’s rate of Rs 2968.00. When you purchase gold from a bank in India you will be required to obtain a Permanent Account Number or tax identification number for high gold purchases over Rs50000. It is highly recommended that when you are buying physical gold you purchase it in small chunks. You can take advantage of purchasing gold bars or partial chunks by financing through reputable programs and brokers in India using equal monthly installments. Dubai is the international hub for the physical trading of gold commodities and the Dubai Gold & Commodities Exchange is a consortium of the Dubai Multi Commodities Centre and the Multi Commodity Exchange of India Limited. By combing these two centers it assures consumers that buying gold in Dubai or India will be regulated and controlled. There is one fee for participants and the same surveillance systems are in place. This trading house is regulated the Securities & Commodities Authority. Buying gold in Dubai through the gold souk is great for small investors; there are no similar marketplaces in India, but you can purchase gold jewelry and coinages from vendors, shops and markets. The exchange rates in both countries are determined by the value of the US gold market as well as taxes, exchange rates and demand. You will find gold purchases are much less in Dubai, but if you are a large investor using the commodities house will ensure that prices are relevant.